Around the world, a powerful shift away from fossil fuels toward clean energy is underway—but change won’t come fast enough without a concerted fight. Despite remarkable advances in energy efficiency and clean energy, coal still provides a third of our electricity and we’re drilling more oil than we have in a century. The good news is that the barriers to clean energy are now largely regulatory and political. Using the power of the law, we can and will knock them down. VP of Litigation for Climate & Energy Abbie Dillen, in a conversation with VP for Communications Minna Jung and Earthjustice members, discusses important recent victories and Earthjustice's plans to go all-in on clean energy. The coal sector is the biggest air and water polluter in the country. It's the biggest waste generator in the country. And that is because it has been allowed to be. The Cheswick coal-fired power plant in Pennsylvania. Until very recently, we haven't had effective safeguards requiring modern pollution controls for coal-fired power plants. That has allowed this industry to make its money and to secure its place in our political system by being the purveyor of so-called "cheap" power. But it is the public who has been absorbing the enormous costs of running power plants on the "cheap." Coal has shaped our lives profoundly. We've seen asthma rates skyrocket. We've known for decades tens of thousands of people are dying prematurely every year because our air quality isn't healthy. We see that our climate changing. The chemistry of our oceans is changing. We may be one of the first generations who feel that our future is uncertain because the very mechanisms of the planet are changing. What is to blame? 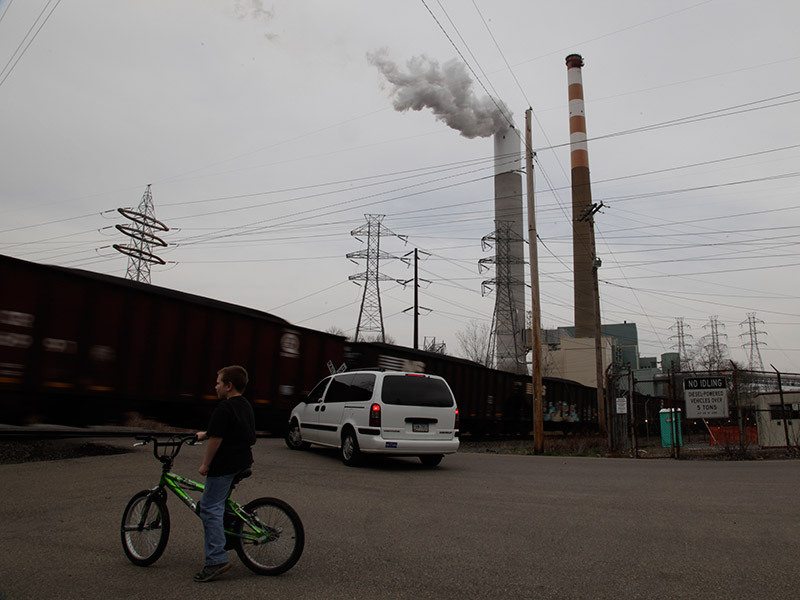 Pollution from coal plants is one of the very biggest drivers. If coal-fired power plants come into the environmental compliance every major corporation should be held accountable to, coal power won't be able to compete economically with sources of energy that are genuinely clean. 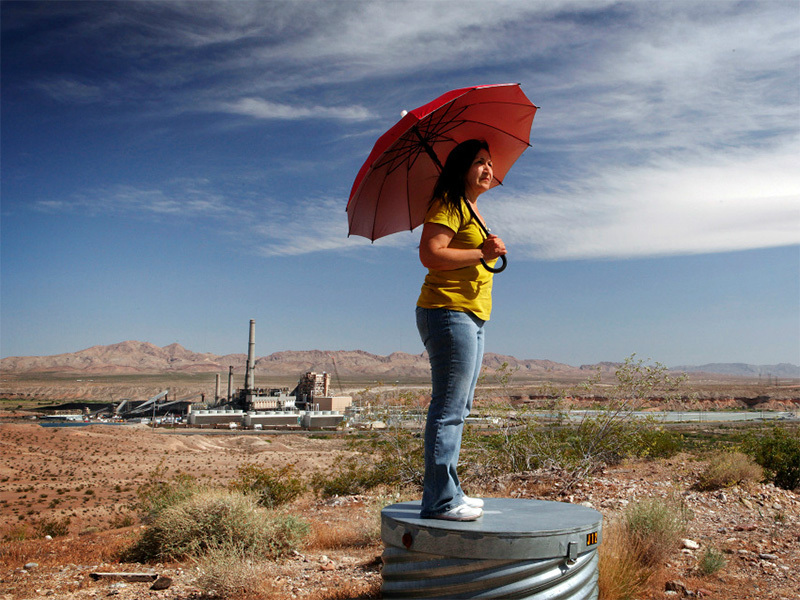 Vickie Simmons near the Reid Gardner coal-fired power plant in Nevada. For years, she and the rest of the Paiute tribe have lived in the shadow of Reid Gardner’s smokestacks and waste pits. The whole constellation of tightening air, water and waste regulations and, most recently, the landmark carbon regulations that have been the centerpiece of the Obama administration's climate policy, has radically shifted the landscape for the coal sector. We have partnered with long-standing clients, including Sierra Club and so many others. The effort over the last ten years involving people with all sorts of expertise, including lawyers, to get this country off coal has been absolutely astonishing. What we have achieved is to get laws on the books to make new rules of the road for the coal sector. In the last five years, we've achieved: first-ever limits on air toxics that are emitted from coal-fired power plants; first-ever limits on the water toxics, like mercury, that coal plants dump into our rivers and lakes; first-ever standards governing toxic coal ash that is dumped, usually in big, unlined pits, often near water. When coal companies are given a choice between modernizing these plants—spending the money to retrofit them, often in the tens of millions, if not hundreds of millions, of dollars—they are making wise economic choices to shutter them instead. That's because the power is becoming more expensive—it's reflecting the true cost of burning coal at least somewhat responsibly. When we began working on coal, it was still providing 50% or more of our power in this country. And now we're down to a third. That's happened in the space of five or six years. When you see a shift of that kind of profound scale, you know that the change is permanent. Public Utility Commissions: Where decisions about clean energy vs. dirty energy get made. Public utility commissions are responsible for giving us power at rates that are just and reasonable. There are good laws on the books and good regulations on the books. And we want to make those rules stick. We are very active in permitting processes to make sure power plants actually comply with these new standards. We are playing an active role in public utility commissions: places that determine how utilities make their money, and how much money they make. These are the places that approve the big investments in old coal-fired power plants. They are responsible for giving us power at rates that are just and reasonable. We go on behalf of groups and ordinary ratepayers to make the true case that a retrofit investment in a coal-fired power plant is not only the incorrect environmental choice, it is an unwise economic choice. Case Spotlight: Ohio And we are winning those cases. The regulatory platform must encourage needed systemic change in the utility sector. This is an industry that has not had to change much over the last century. It has a very important role in keeping the lights on, so it has a conservatism that is warranted. But, regulators aren't necessarily at the cutting-edge and aware of the good news that clean energy is here—and that it is a viable alternative to our hub-and-spoke grid that's powered by fossil fuels. We can influence the regulatory landscape. We are at the point where the renewable portfolio standards have worked. We have created the market; innovation has followed. We are seeing all kinds of key clean energy solutions emerge—not just rooftop solar panels, but smart technology in our homes and to operate the grid, storage. And not only are they emerging, they're becoming available, affordable and scalable. As clean energy gains momentum, the politics change too. Clean energy and energy efficiency are the lowest cost resources around and are what we should be investing in. And we can make that case for renewables both utility-scale and distributed. What are ‘distributed resources’? They are what utilities aren't generating and distributing within their system. It's the stuff you and I can generate by putting a solar panel on our roof. Or that lots of companies could provide to the grid by agreeing to not use electricity in a particularly hot hour on a July day. These are the kind of demand-side solutions that we can harness. Those are not the solutions utilities are accustomed to encouraging, because they make money off of how much electricity they sell. Fundamentally, the project is changing the rules that govern how they can make money—incentivizing them to do the right thing. 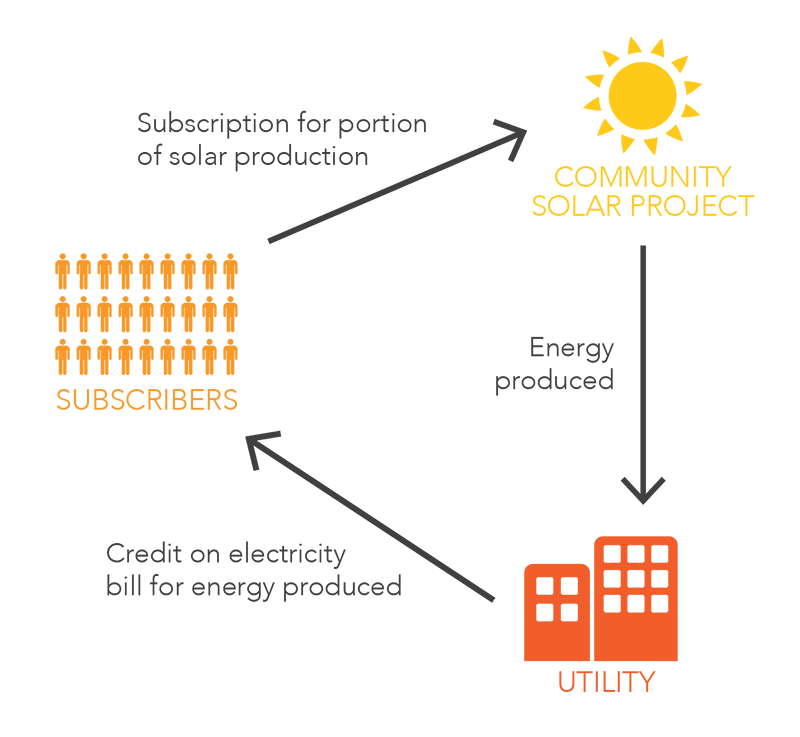 And more than that: leveling the playing field for other competitors. That's a project at the national scale, with the Federal Energy Regulatory Commission. We are defending some of the key reforms that have been made there and have just gotten tremendous rulings from the Supreme Court now two years running. 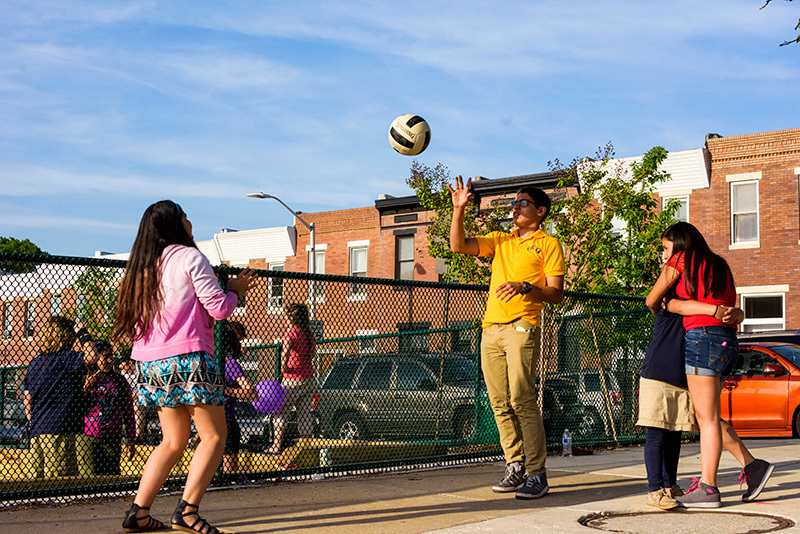 The Paterson Park area of Baltimore may benefit from Maryland's new community solar legislation. David Brosh, community solar advocate, at the University Park Church of the Brethren in Maryland. The panels produce more energy than the church needs. 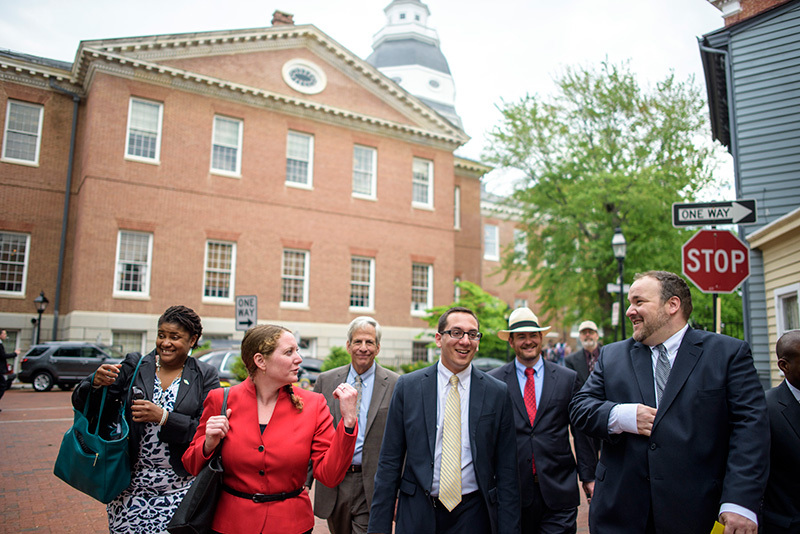 Community solar bill supporters outside of the Maryland State House in Annapolis on May 12, 2015, after the bill's signing. Maryland has a very diverse energy portfolio, from nuclear to coal. And progressive policies on clean energy. We have worked there to do two things over the last year very successfully. It comes down to how they're looking at the costs and benefits. We said, "We are not accounting for the full benefits that energy efficiency provides.” It's allowing us to rely less on polluting resources. It's lowering people's electricity bills, not only the person who's participating in a given program and having their house weatherized. People all across the system are potentially seeing their bills lowered by big investments in the cheapest energy resource there is. We were able to get Maryland to adopt what's called a 'societal benefits test' for deciding what energy efficiency projects are cost effective. Putting this different worldview into the way that regulators think about energy can be transformational. Suddenly, we're asking the right questions. What's best for everyone holistically taking into account environmental factors? Taking into account pollution. Taking into account energy equity—meaning everyone's access not only to energy, but a warm home in the wintertime. Then you have regulators saying, "These programs make sense. And we are going to force the utilities to do much better than they have been. They have not been creative. Their goals have been mediocre at best." And, in some ways, utilities have not designed their programs to be easy and accessible for everyone. We've not only been trying to make the financing for energy efficiency investments easy for anyone to get, we've been wanting to make sure that people who don't own their homes, people who don't have rooftops available to them, people who live in apartment buildings also have access to clean energy. 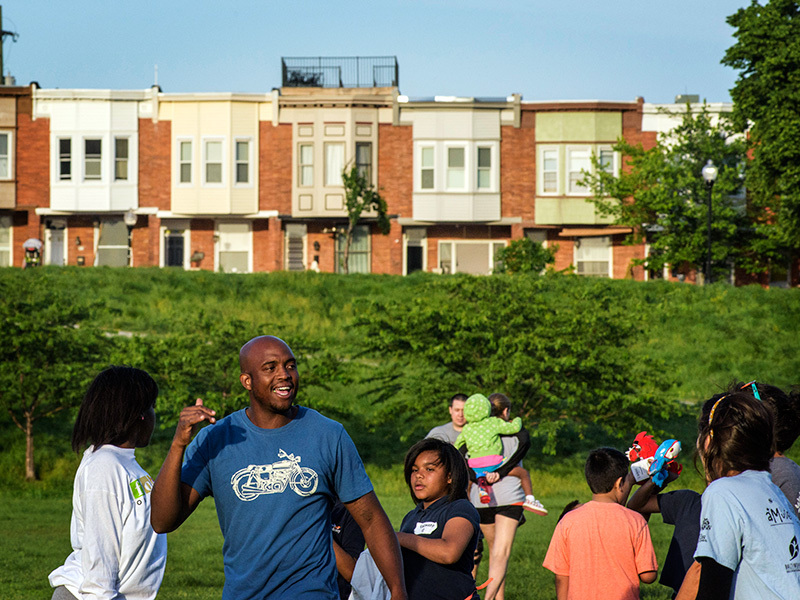 We can harness all of the potential of those big groups of people, particularly in dense urban areas. Attacks on clean energy: regressive efforts attempting to set back efforts reforming how utilities work. 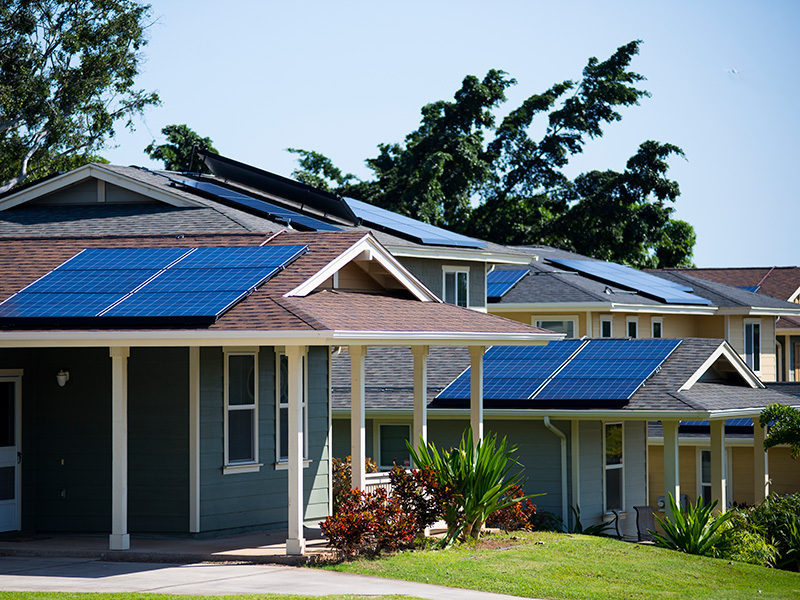 Solar panels on homes at Salt Lake in Oahu, Hawaiʻi. We're seeing a Koch-funded multi-state efforts to dismantle the policies and programs that have been spurring rise of solar, for instance. This is about solar, and it's about distributed energy writ large—in trying to re-write the rules about how customer-generated resources can play in our state energy portfolios. We're in there, not only beating back the worst proposals that would suddenly make rooftop solar uneconomic for people, but we are trying to popularize and put forward the new regulatory structures, like time-of-use rates, to make sure that we are not only defending our gains, but moving forward to get more and more distributed clean energy into the mix. The role that lawyers play is often to stop the bad stuff and create the space for the good stuff to emerge. 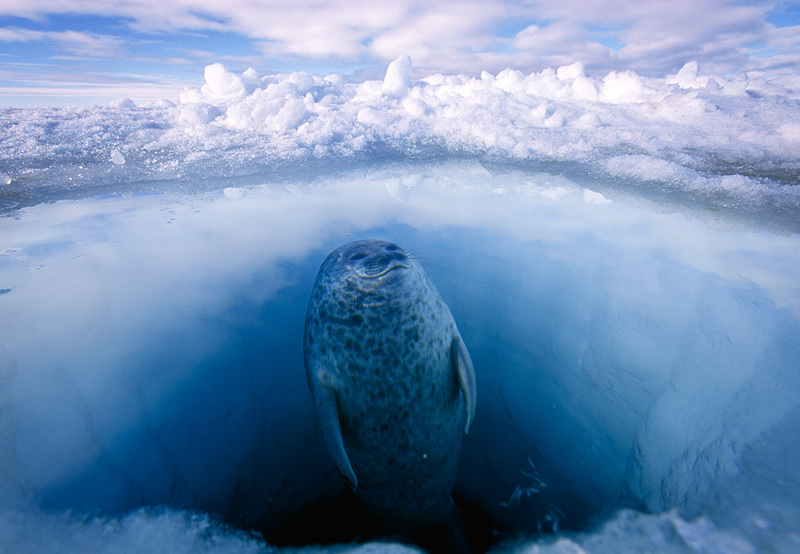 A ringed seal, one of the many species at risk in the Arctic, is on the lookout for polar bears as it surfaces. While we can affirmatively promote solutions, like clean energy, Earthjustice alone, could never do what we all have to do as a society—make commitments to change the way we live, and to demand that our leaders lead on climate action. A decade of intensive litigation by Earthjustice stopped Shell from exploring for oil in the Arctic, year after year, summer after summer. This last summer, when Shell was finally able to drill, they were only able to get one well. And finally they gave up. It's widely speculated that Shell's European management recognized that that oil, which would only become economically desirable to people in the next 20 years, had become unburnable. I think the agreement in Paris probably shored up that assessment. That is a example of how litigation can slow and delay bad ideas, until good ideas come to the floor. We are seeing a win of a major fossil fuel battle that many people thought could not be won. In part because Earthjustice was able to hold the space—but equally encouragingly, because we are seeing a growing awareness that we won't be able to burn all our fossil fuels. It's important to recognize the wins that we have—and to keep building on them. 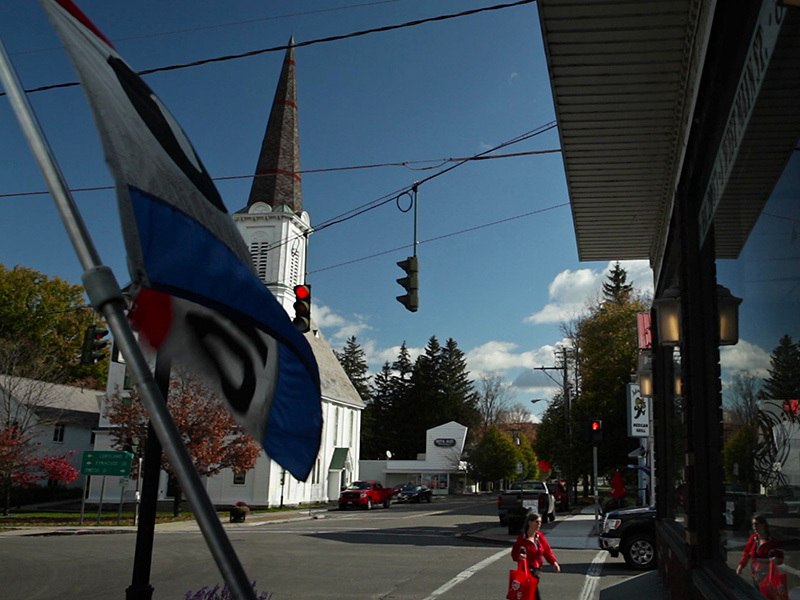 Downtown in Dryden, NY. Dryden’s story began in 2009, after residents pressured by oil and gas company representatives to lease their land for gas development learned more about fracking. We are at a turning point where we can either build on this momentum and give ourselves a chance of winning this race against disaster we're in—or we can not move quickly enough and lose. That statewide fracking ban in New York, which had seemed impossible at first, has been an inspiration to people who are trying to fight for, not only their backyards, but their future in a climate context. There has been successful work to seal off the West Coast from coal exports, stopping construction of new export terminals all along the Pacific Northwest. The coal leasing moratorium the Obama administration recently announced is the culmination of years of work to make the case that there are federal giveaways of our coal, and that the Powder River coal enterprise is a bankrupt one. There is lots of work to do to translate the pause on coal leasing into a permanent withdrawal. Just as there is work ahead to translate victories stopping oil and gas leasing and development on our public lands. A major project now is to maximize long-standing efforts to diffuse the big ticking carbon time bomb that is our taxpayer owned fossil fuel reserves. The Clean Power Plan is a landmark regulation that puts limits on greenhouse gas emissions from power plants, the biggest emitters in the country. 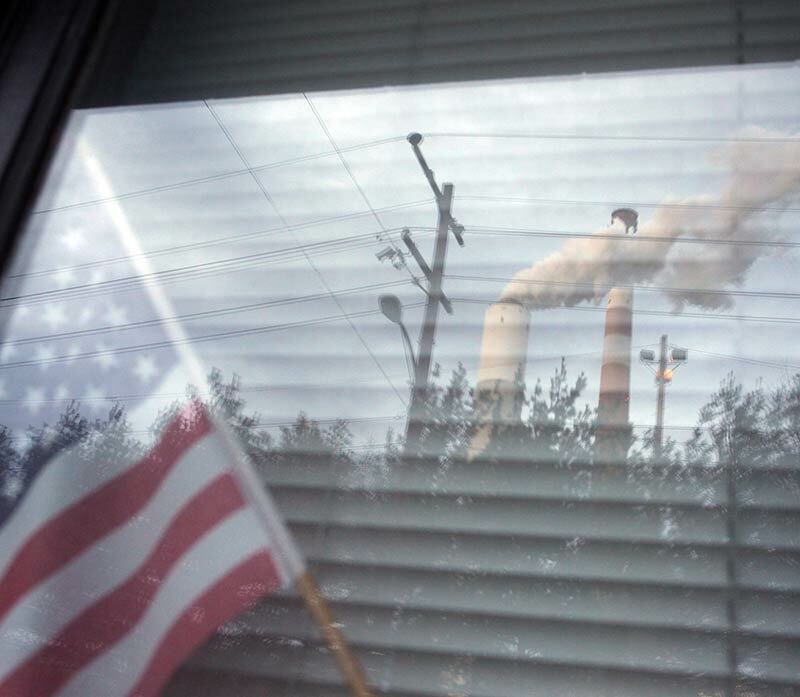 The Cheswick coal-fired power plant in Pennsylvania, reflected in a window of a home in Springdale. It is a very progressive use of the Clean Air Act. But it is also a regulation that is very in tune with where the world is already going. In that sense, it isn't radical in the least. But it is being framed legally as a very radical departure from the way the Clean Air Act has been implemented in the past. 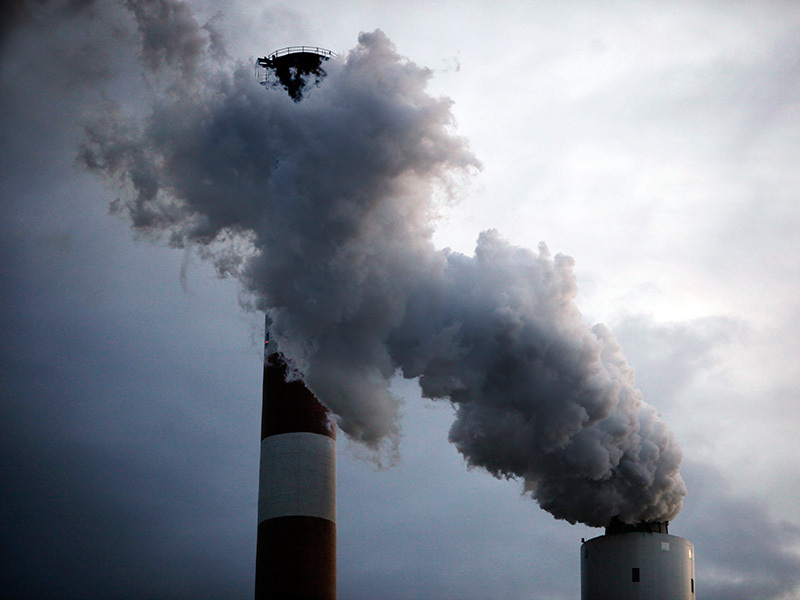 So there is a very fierce legal battle over the Clean Power Plan. And, it is very much a political battle, with many states allied with fossil fuel producers challenging the rule. And then you have another cadre of states, the Obama administration, and groups like ours, just as fiercely defending it. On the temporary stay order by the Supreme Court: When you see an order from the court which has no reasoning and simply seems to reflect a partisan divide between justices on the court, you recognize how political this very legal fight is. What it is: It is simply a stay. What it isn't: It does not wade into the merits of whether this is a proper exercise of the Clean Air Act or not. It is not a 'stop work' order for the states. Any questions about whether this rule is in danger are premature. There are very strong arguments as to why the Clean Power Plan is both a wise and legal exercises of EPA's authorities under the Clean Air Act. Even the most conservative analysts are now remarking on the fact that we have effectively achieved grid parity—the price of newly installed gas is now at parity with the price of newly installed wind. 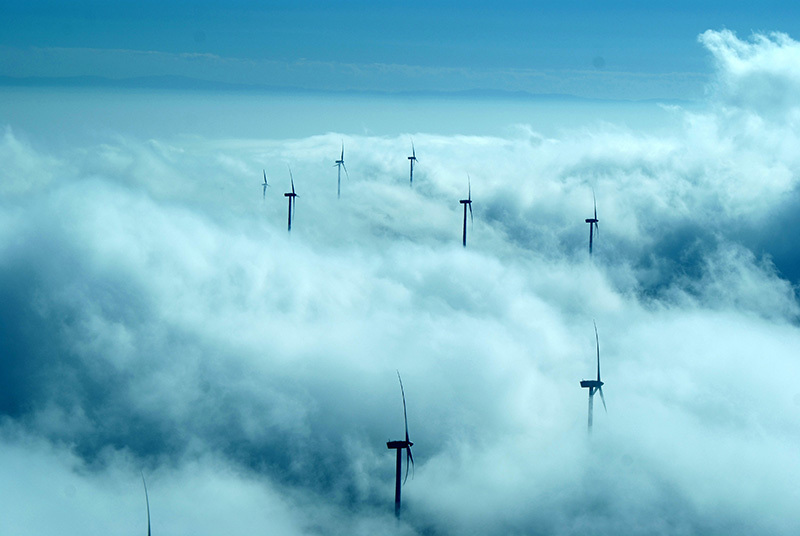 Wind farm at Buffalo Mountain, Tennessee. 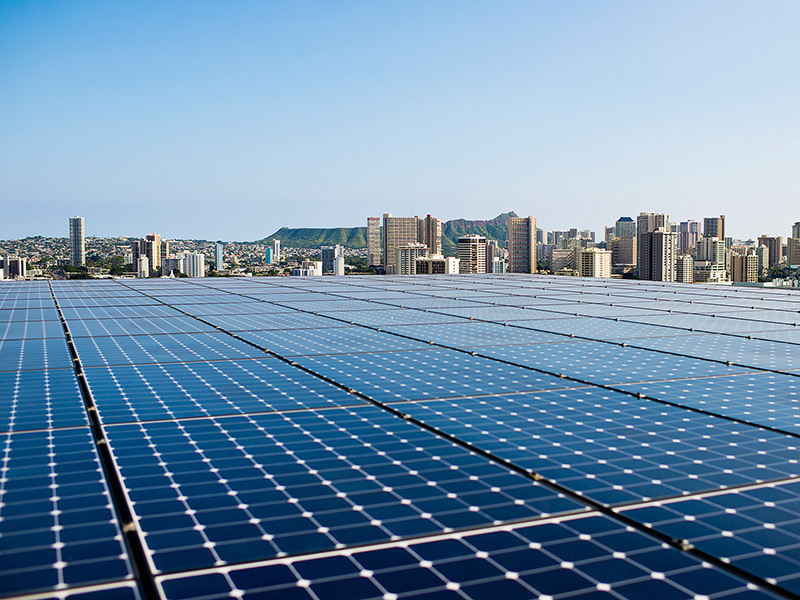 Technicians install solar panels in Honolulu, Hawaii. 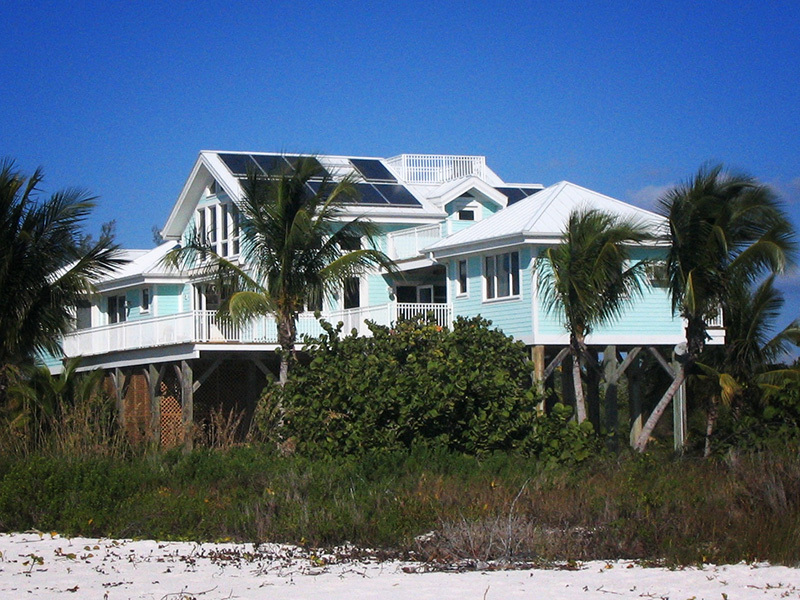 Rooftop solar panels on a beach house in southern Florida. And the same is happening for solar. The conventional wisdom had been that wind was way ahead and that we wouldn't be seeing that, either with rooftop or utility-scale solar. But Deutsche Bank, Moody's, and others think that solar is going to be at grid parity in 2017—not only in the U.S., but in the vast majority of the world. That's an astonishing change and unleashes more finance for clean energy. Countries who've been worried about taking climate action and worrying about what commitments they can make without compromising their own economic development are starting to see clean energy as not something that will hurt them, but something that can help them. One of the most important things that all of us can do is to start talking to everyone we know and love about climate—and about the fact that solutions are possible. A technician inspects the blades of a wind turbine in Colorado by repelling down the blades. Advocacy matters at this moment. The challenges we face are real—but despair is neither appropriate nor necessary. We cannot look away from the problem. Because there are solutions that we can all be advocating for. Wherever you are, there is somebody who's making decisions about what energy to procure, what the energy mix should be, how much you pay for it, and how much the utility is paid for delivering it to you. They're made locally. They're made locally by rural cooperatives, by public utility commissions, by local-elect officials. Those places have largely been able to operate without a lot of public scrutiny and without a lot of accountability. We can be there on your behalf making the legal case. And we are also seeing—for instance, in cases about rooftop solar policy—the public turn out and come to the public comment hearings, write letters to the editor, participate in commissioner elections. It's changing those venues to become less insular and more aware of their responsibilities to steward energy policy responsibly for all of us. It's changing the politics. And making the decision-makers accountable for making good economic and environmental decisions. Energy politics will always be local to some degree. Awareness of decisions being made that affect us so profoundly is one of the best thing you can be doing. 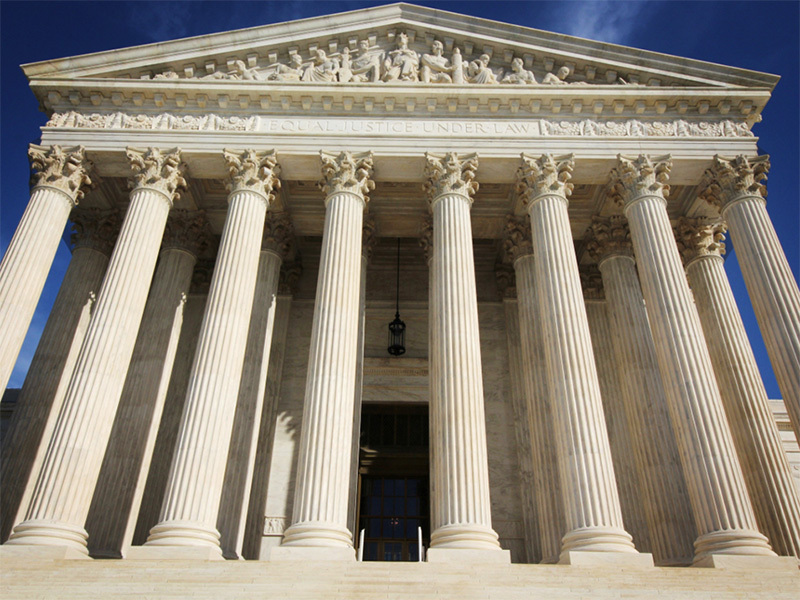 The current U.S. Supreme Court vacancy will affect environmental law writ large. And it will affect so many things beyond the environmental issues that we work on. We see the Supreme Court vacancy as one of the momentous events of our current time. The suggestion that this president does not have the authority and is operating in an overreaching way, to be trying to get this appointment done, is very much counter to the constitution and to past precedent. It underscores a very pressing need to make clear that partisan politics aside, we have to honor our institutions. Just as we have been leaving spaces across the judiciary too long because of political bottleneck. It's a very alarming trend that I think threatens to delay justice and affect the operations of the courts, which are so key to our government. 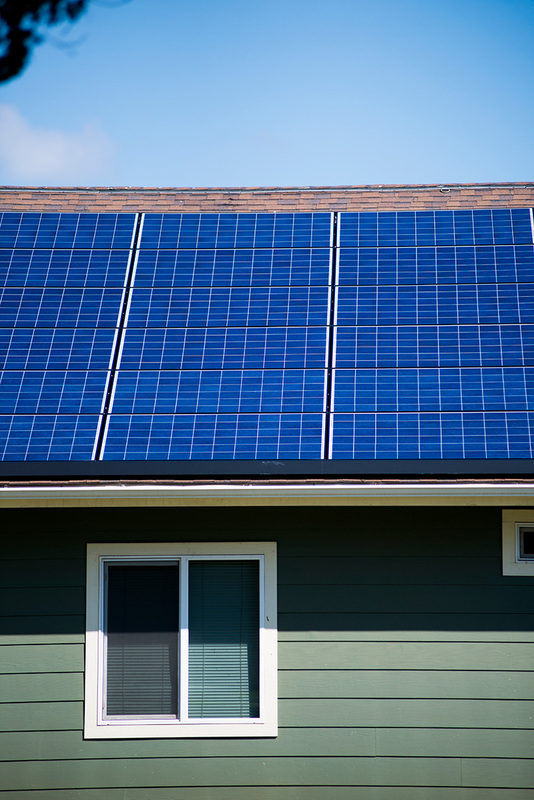 Net metering is under attack in states around the country. Rooftop solar panels on homes in Salt Lake, Oahu, Hawaii. What is net metering? It is a policy where, for instance, you can essentially pay nothing on your electricity bill, because you've offset your use of electricity generated by the utility, by selling back solar power. We are very involved in many of the fights around net metering. We have been successful in avoiding a dismantling of net metering in Colorado. We've so far have been successful in New Mexico and Arizona. And recently, allies of ours have been successful in California. There is a very alarming situation unfolding in Nevada. That commission not only dismantled their net metering policy, but they did it retroactively. People spent their own capital on rooftop solar systems based on the promise that they would pay back that investment over time, and are having the rug pulled out from under them. It's a very surprising and regressive move by the commission. And it is extremely unpopular in a state. Utilities are recognizing that there is enough political will and investment in solar that, if there are not fair policies recognizing what solar generators are providing to the grid, they will just defect. Meaning, they can soon afford batteries and just go without the grid support entirely. And that's something utilities are very afraid of. No matter what happens in Nevada and other states, the availability of storage at a price that lots of people can afford is something that's on the horizon. And that will make it impossible for utilities to keep rooftop solar down forever. Minna Jung: Thank you so much for joining us today for "Powering The Future." My name is Minna Jung. I'm Earthjustice's vice president of Communications and I'm delighted all of you could join us to hear about the work that Earthjustice is doing to move our nation into a sustainable energy future and to ward off catastrophic climate change, using the power of the law. Today, you'll be hearing our principal speaker, Abbie Dillen. She's our Vice President of Litigation for Climate and Energy. Abbie began working with Earthjustice 15 years ago in our Bozeman, Montana, office, and is now based on our Northeast regional office. She is recognized as one of the foremost experts in the country when it comes to the full spectrum of everything that needs to happen on the legal front to make sure that we achieve a 100 percent clean energy future. Today's teleconference will focus on all of the things Earthjustice is doing to ensure that we commit to clean, renewable energy as the only acceptable option for the health of our people and our planet. At the end of our conversation, we're going to make time for questions that our callers have. Abbie, let's start with the big picture. We've been hearing a great deal about innovation and advances in energy efficiency and clean energy. But our country, and indeed much of the whole world, is still largely dependent on dirty fossil fuels for power. There so much to unpack about why we still have this dependency and why we're not seeing wider adoption of clean energy solutions everywhere. I was hoping that you could layout the big picture storyline for us and tell us what Earthjustice is doing to help move that storyline forward. Let's treat this as a storyline in three-parts, starting with coal. What are the latest trends in shutting down coal? What can we feel hopeful about? And what do we still need to worry about? Abbie Dillen: Coal is the right place to start because it's the fount of so many of the big problems that we have and that we've come to think of as the hard facts of life, rather than things that we can solve. Many people in this country have asthma now. I imagine every person on this call is close to someone with asthma. And I'm willing to bet that person is a child, because we've seen asthma rates skyrocket over the last few decades. We've also known for decades that we are killing tens of thousands of people prematurely every year because our air quality isn't healthy. When we look to the root causes of that, what we see is pollution from coal plants as one of the very biggest drivers. I think about when I was pregnant, and friends who are pregnant, not being able to eat fish because of mercury contamination. What's to blame for that? Again, you look at the root cause and find pollution from coal-fired power plants. And the topic of conversation today: we see that our climate is changing. The chemistry of our oceans is changing with such frightening consequences. We may be one of the first generations of people who feel that our future is uncertain because the very mechanisms of the planet are changing. What is to blame for that? Again, coal plants are the single biggest carbon polluters in the U.S. and abroad. In all of these ways, coal is shaping our lives profoundly. And yet, you ask anyone where their power comes from, most people might not say coal. They might not even know. It's a force in our lives, but it's been a largely invisible one. And I think it's really important to understand that because it speaks to what we are working on. How has coal come to be such a powerful political force in our country? Why has it had such a stranglehold on our laws and energy policy? This is my bias as a lawyer, but I would say the answer is of very radical under-regulation of this industry. The coal sector is the biggest air and water polluter in the country, and it's the biggest waste generator in the country. And that's because it has been allowed to be. Our theory of change at Earthjustice is that if you force coal-fired power plants to enter the 20th century—we're not even talking about the 21st century—in terms of the environmental compliance that every major corporation should be held accountable to achieving, coal power won't be able to compete economically with sources of energy that are genuinely clean. And so we have partnered with long-standing clients around the country—most of you know that the Sierra Club is one of those partners (they have been incredible leaders in a national campaign that has been branded the "Beyond Coal" campaign), but there are so many others. And speaking as someone who's been a part of litigation and advocacy campaigns over the years, I think the effort that has gone forward over the last 10 years involving people with all sorts of expertise, including lawyers, to get this country off coal has been absolutely astonishing. And what we have achieved, first of all, is to get laws on the books—to make new rules of the road for the coal sector. In the last five years, we've been able to get first-ever limits on air toxics, like mercury, that are emitted from coal-fired power plants. We've been able to get the first-ever limits on water toxics, again like mercury, that coal plants dump into our rivers and lakes. And we've been able to get first-ever standards governing all of the toxic coal ash that is dumped, usually in big, unlined pits, often near water. The whole constellation of these tightening air, water and waste regulations and, most recently, the landmark carbon regulations that have been the centerpiece of the Obama administration's climate policy, has radically shifted the landscape for the coal sector. What we are seeing is, predictably, long-overdue decisions to retire old coal plants that have been running long past what their originally expected life was. When coal companies are given a choice between modernizing these plants—spending the money to retrofit them, often in the tens of millions, if not hundreds of millions, of dollars—they are making wise economic choices to shutter them instead. And the lesser-known story is that we are seeing the plants that do choose to retrofit, run less. That's because the power is becoming more expensive; it's reflecting the true cost of burning coal at least somewhat responsibly. And so we are seeing our wholesale power markets really shift. When we began working on coal, it was still providing 50 percent or more of our power in this country. And now we're down to a third. That's happened in the space of five or six years. When you see a shift of that kind of profound scale, you know that the change is permanent— and that the forward momentum is very powerful. That said, we are not resting on the fact that there are good laws on the books and good regulations on the books. We want to make those rules stick. And so we are very active in the permitting processes to make sure the plants actually have to comply with these new standards. We're also playing a very active role in public utility commissions, places that most of us may not even know of their existence and aren't paying attention to what goes on in them. These are places that determine how utilities make their money and how much money they make. These are the places that approve big investments in old coal-fired power plants. We are able to go on behalf of groups like the Sierra Club, and also ordinary ratepayers, and make the true case that a retrofit investment in a coal-fired power plant is not only the incorrect environmental choice, but that it is an unwise economic choice. And we are winning those cases. What we're finding is, as you might expect, that there are big companies like FirstEnergy or AEP who have big coal fleets and are wondering now what to do with these big assets that are becoming uneconomic. One of the most interesting trends that we see are really interesting, and perhaps desperate, attempts to avoid market competition. You have companies like FirstEnergy that were the champions of the deregulating our energy market in states such as Ohio. And now that their coal plants, which were always the most competitive generators around, now that that's no longer the case, they are effectively trying to become re-regulated. One of the cases I wanted to mention today is what we're calling a bail-out case in Ohio, where you have FirstEnergy going to the Public Utilities Commission in Ohio, asking for a special deal—essentially where ratepayers would guarantee the operating costs of their coal-fired power plants indefinitely&mdaash;for their remaining lifetime. It's a terrible deal for ratepayers, and one that we've been fighting very actively for the last year and a half. It's an interesting case in that it's made FirstEnergy enemies even within some of the utilities in Ohio that are now joining us and also going to the Federal Energy Regulatory Commission to protest what they see as a bid for subsidies and special treatment that is antithetical to market competition. As the world shifts, we are seeing interesting players making arguments that haven't always been the arguments they would make in the past. It's fascinating to watch. And it's a very important moment for us to keep our eyes on this industry as it does anything and everything to protect these old coal plants that really are on their way out. As we see both the utilities and the coal companies going into bankruptcy, we are there making sure that all of the laws that we can bring to bear force them over the edge and ensure that they don't come out of bankruptcy stronger. We're using every tool in the toolbox. Minna Jung: Abbie, you have just painted a picture of profound transformation of the coal industry. It raises the question, and brings us to part two of the storyline: is this transformation being felt by all? What's happening to replace on the clean energy front? Are we in a moment where we really are seeing our fossil fuel economy being replaced by other sources of clean, renewable energy? For example, we've heard a lot of messaging from the Obama administration about clean energy solutions. 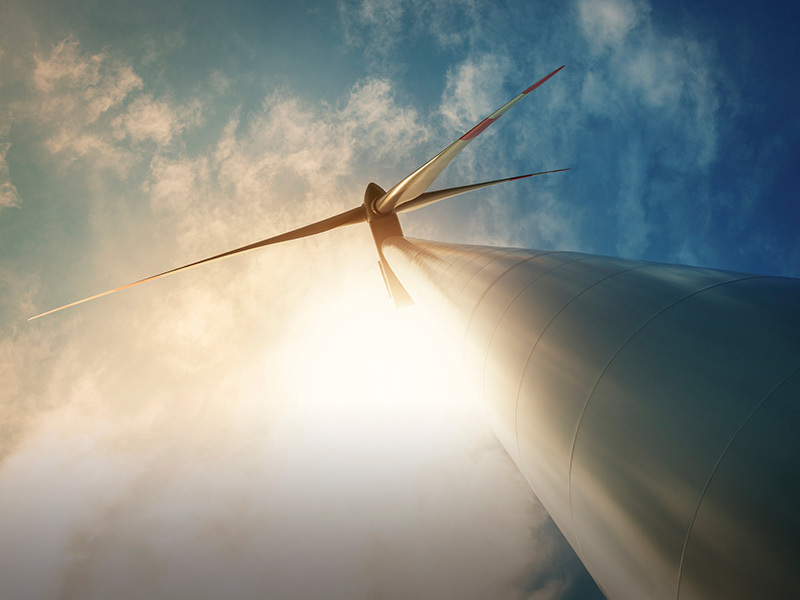 We're seeing news stories every day about innovations in clean, renewable energy sources. Yet, a lot of our world is still being powered by gas and coal. I am, for example, still driving a car. It's a hybrid—but it's still a car. What's holding back our country—and the world—from more widespread adoption of clean energy solutions? And as you talk about what's holding us back, can you also talk about the work that Earthjustice is doing to knock down some of those barriers? Abbie Dillen: It is a profound question, what's holding us back. I think my answer to the question five years ago—maybe even last year—would be different than the one I'll give today, which is that for so long we had to point to a clean energy future and the potential for renewable energy and demand-side solutions, like demand-response, to scale. We had to make the case that the technologies would emerge if we invented them appropriately, for instance with renewable portfolio standards. We had to make the case that the cost would come down if we created the right market signals. That has really changed. We are at the point where the renewable portfolio standards have worked. The German investment in renewables has worked. We have created the market; innovation has followed. We are seeing all kinds of clean energy solutions—not just rooftop solar panels, but smart technology in our homes and to operate the grid, storage—all of these key solutions that we need, are emerging. And not only are they emerging, they're becoming available, affordable and scalable. We're now looking at a situation where—I don't want to understate how much more work has to be done—to be able to get to a fully clean grid that can also support a fully clean transportation system, and make no mistake, that is the goal. To your question, what is now holding us back: I think it is, first, political will in this country where we have a very anomalous debate over climate. No other country has this debate. Second, it is having the regulatory platform that encourages the kind of systemic change in the utility sector that's needed. This is an industry that has not had to change much over the last century. 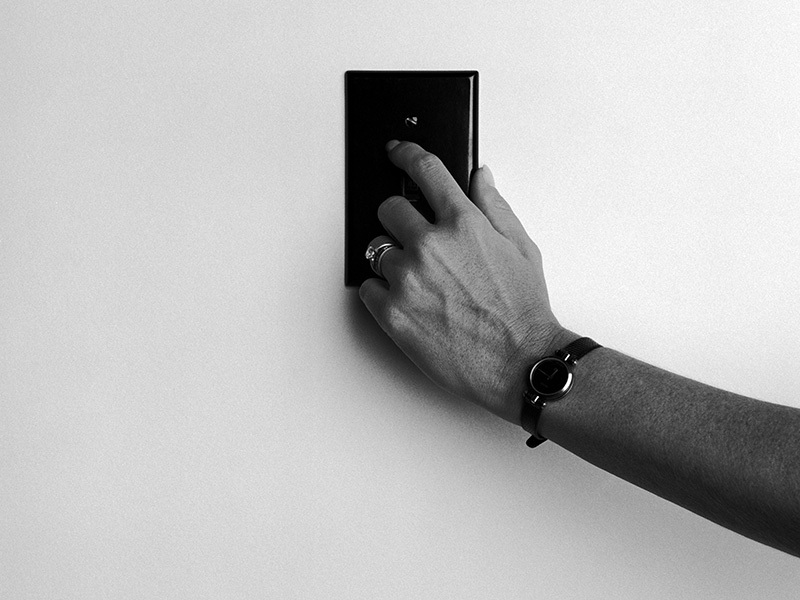 It has a very important role in keeping the lights on, so it has a conservatism that is warranted. And you have a group of regulators that are conservative for that reason. But who also aren't necessarily at the cutting-edge and aware of the good news that clean energy is here and it is a viable alternative to our hub-and-spoke grid that's powered by fossil fuels. For us, the thing that we can influence is that regulatory landscape. We can use energy law as it exists today to keep compelling investment in the solutions of today and tomorrow. That's what we're doing, and the more successful that we and our allies are the better case we will have for changing political will. As clean energy gains momentum, the politics change too. And we are seeing some of that already. Let me say a few words on what we’re doing with the law. I mentioned in the coal context, our public utility commissions are responsible for giving us power at rates that are just and reasonable. And that usually means, what's the best economic alternative. Just as we are able to make the case effectively that coal is no longer the economic alternative, we are also able to say that a default to gas is not the best alternative. In fact, clean energy resources and energy efficiency are the lowest cost resource around and is what we should be investing in. We can make that case for renewables both utility-scale, but also distributed. In terms of distributed resources, a lot of us correctly think of micro-grids as one example. These are resources that the utilities aren't generating and distributing within their system. It's the stuff you and I can generate by putting a solar panel on our roof or that lots of companies could provide to the grid by agreeing to not use electricity in a particularly hot hour on a July day, for instance. These are the kind of demand-side solutions that we can harness. Those are not the solutions utilities are accustomed to encouraging because they make money off of how much electricity they sell. Fundamentally, the project is changing the rules that govern how they can make money—incentivizing them to do the right thing. But more than that, leveling the playing field for other competitors. We are also doing this state-by-state. I want to give one example to bring this home and make it understandable what I'm talking about. Maryland is a really interesting state because it has a very diverse energy portfolio, from nuclear to coal to a progressive policies on clean energy. Not progressive enough, but pretty progressive. It comes down to how they're looking at the costs and benefits. We said, "We are not accounting for the full benefits that energy efficiency provides.” It's allowing us to rely less on polluting resources. It's lowering people's electricity bills, not only the person who's participating in a given program and having their house weatherized. But people all across the system are potentially seeing their bills lowered by big investments in the cheapest energy resource there is. We were able to get Maryland to adopt what's called a 'societal benefits test' for deciding what energy efficiency projects are cost effective. And this may sound very "devil is in the details," but I want to suggest that putting this different worldview into the way that regulators think about energy can be transformational. Suddenly, we're asking the right questions. What's best for everyone holistically taking into account environmental factors? Taking into account pollution. Taking into account energy equity—meaning everyone's access not only to energy, but a warm home in the wintertime. Let's look at that whole slate of benefits. And then suddenly you have regulators saying, "Wow, all of these programs make sense. And we are going to force the utilities to do much better than they have been. They have not been creative, and their goals have been mediocre at best." The other piece of this—and this goes to a trend that many of us are probably reading about with alarm in the papers—is that there has been a narrative that energy efficiency and rooftop solar is benefiting well-off people at the expense of lower income customers, particularly customers of color. And we have been very concerned about the extent to which that might ever be true. In some ways, utilities have not designed their programs to be easy and accessible for everyone. So we've not only been trying to make the financing for energy efficiency investments easy for anyone to get, we've been wanting to make sure that renters, people who don't own their homes, people who don't have rooftops available to them, people who live in apartment buildings, also have access to clean energy—so that we can harness all of the potential of those big groups of people, particularly in dense urban areas. In Maryland, for example, there was a law against community solar gardens. 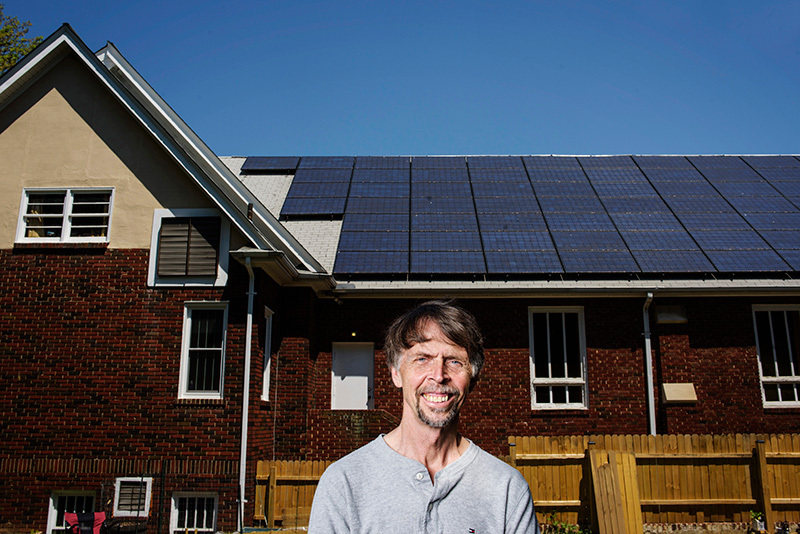 It wasn't possible to create a program where people are "virtually" doing net metering. We've been able to change that law and get a pilot program up and running that I think will lay the foundation for a really robust community solar business and way of life in Maryland. And that's just one state where we're active. We’re active in many places. It's always hard to try to say all that we're doing. I've been focusing on the positives, but there is so much rearguard action, as clean energy gains momentum, to cut it off at the knees. We're seeing a Koch-funded multistate effort to dismantle the policies and programs that have been spurring rise of solar, for instance. We think this is about solar, and it's about distributed energy writ large—in trying to rewrite the rules about how customer-generated resources can play in our state energy portfolios. These very regressive efforts are really trying to set back the efforts to reform how utilities work. We're in there, not only beating back the worst proposals that would suddenly make rooftop solar uneconomic for people, but we are trying to popularize and put forward the new regulatory structures, like time-of-use rates, to make sure that we are not only defending our gains, but moving forward to get more and more distributed clean energy into the mix. Minna Jung: That was a tremendous overview in terms of both the barriers that still exist to clean energy and also all the different ways that Earthjustice is trying to make sure that clean energy continues to move forward. Abbie, you talked about our casework—those at the Supreme Court level and also at the state level—and are also talked a lot about the political will that's needed and the worldviews that need to change in order to really continue to advance the transformation. That leads me to my last question about part three of the storyline: we've heard a lot about Earthjustice's work on the supply- and demand-side of the clean energy equation. Is it part of a movement? Who are the other big players? What's going on in terms of other people, other organizations, other groups in this country being aware about what's at stake when it comes to clean energy? Are you seeing a broader base of support for these issues on both sides of the equation? Abbie Dillen: The role that lawyers play is often to stop the bad stuff and create the space for the good stuff to emerge. While we can affirmatively promote the solutions, like clean energy, Earthjustice alone, no matter how big and well resourced we are, could never do what we all have to do as a society—which is make some commitments to change the way we live and to demand that our leaders lead on climate action. For those of us in the trenches, it has been an absolutely incredible past six months. The conversation has shifted so powerfully. A year ago in the U.S., the idea of keeping fossil fuels in the ground was an idea that was current in a pretty narrow circle of people, and one that seemed too radical to be part of our mainstream political discourse. And yet, what the world climate scientists were telling us is that we have a carbon budget. And if we want to stick with that budget and avoid temperature rise of greater than 2 degrees—and certainly greater than the 1.5 degrees, which the countries of the world have rightly recognized as a better goal and perhaps not even conservative enough—if we want to meet that climate imperative, we have to completely change our idea about fossil fuel reserves as being an asset. And we have to leave the vast majority of them underground. Having seen the agreement in Paris, many of us have taken heart that some of the world's leaders will be willing to take leadership on leaving some fossil fuels on the ground. I don't know that I would've expected the U.S. to be leading the way, and yet, here we are, after a decade of intensive litigation by Earthjustice—stopping Shell from exploring for oil in the Arctic year after year, summer after summer. This last summer, when Shell was finally able to drill, restricting that potential so narrowly that they were only able to get one well. And finally they gave up. That is a wonderful example of how litigation can slow and delay bad ideas until good ideas come to the floor. I think that no one knows what happens within the boardrooms of Shell. But it's widely speculated that Shell's European management was recognizing that that oil, which would only become economically desirable to people in the next 20 years, had become unburnable. And I think the agreement in Paris then probably shored up that assessment. And so we are seeing a win of a major fossil fuel battle that many people thought could not be won, in part because Earthjustice was able to hold the space, but equally encouragingly, because we are seeing a growing awareness that we won't be able to burn all our fossil fuels. And that awareness is represented across a political spectrum, to the point where there are activists getting keep-it-in-the-ground into the messaging of the president's speeches around Keystone. And when the president himself is embracing this message, it is an incredibly powerful thing. It's also thinking that—I don't want to overstate this by any means—is affecting the calculus of big players like Shell. And I'll just say a few more words about what's giving me hope, because I do think that hope is essential now. We are at a turning point where we can either build on this momentum and give ourselves a chance of winning this race against disaster we're in—or we can not move quickly enough and lose. It's important to recognize the wins that we have and to keep building on them. Some of the things that have really fueled this is the emerging keep-it-in-the-ground movement, which is a sign of a real climate movement that we had been lacking for many years but we now have and see growing, the victories I think that it helped spur it are, of course, the president's denial of the Keystone pipeline. It was also the huge win on fracking in the state of New York. That statewide fracking ban, which had seemed impossible at first, has been an inspiration to people who are trying to fight for, not only their backyards, but their future in a climate context. It has been a very galvanizing accomplishment. Of course, the coal leasing moratorium that Obama administration has just announced—that is the culmination of years and years of work to make the case that there are federal giveaways of our coal, and that the Powder River coal enterprise is a bankrupt one—that is becoming, literally, true. In part, those bankruptcies have been spurred by incredibly successful, galvanizing work to seal off the West Coast from coal exports. We have been so successful in stopping construction of new export terminals all along the Pacific Northwest, and even down to California where a new export infrastructure has been proposed in Oakland. Those successes have really kept struggling companies, like Arch and Alpha and now Peabody who looks poised for bankruptcy as well, from reaching the Asian markets that would give them any chance of survival as their U.S. markets are dwindling, thanks to the coal plant work we talked about earlier. To see all of that work flower into a moment where this president, who has become an astonishing climate leader, felt he had the political capital and the platform to take a pause on coal leasing of federal reserves, is a really inspirational moment about how our outside work can then create the possibility for something more definitive. There is lots of work to do to translate that pause on coal leasing into a permanent withdrawal. Just as there is tons of work ahead to translate victories stopping oil and gas leasing and oil and gas development on our public lands, as well as private lands. Translating that kind of work that Earthjustice has been doing for decades into a similar opportunity to take oil and gas reserves off the table—that is our big project now. To maximize long-standing efforts across the public lands and translate them into a litigation and advocacy campaign that diffuses the big ticking carbon time bomb that is our taxpayer owned fossil fuel reserves. Minna Jung: Thank you. That was a comprehensive storyline in terms of what we're doing, to keep-it-in-the-ground, the movement that's forming, and also the really big moment in time that all of us have been so fortunate to witness and to participate in. I'm going to turn our attention now to some of the questions that are coming in from the members on the call. And we've had a bunch of questions about the EPA's Clean Power Plan. And I'm sure you know why, because last year, we are celebrating the emergence of the Clean Power Plan, and now we have a recent Supreme Court decision that's seemingly put the Clean Power Plan on hold. Can you talk a little bit about the Plan? Remind our callers what the Plan is, what the significance was of the court's action on this. And also how is Earthjustice involved in what happens next. Abbie Dillen: The Clean Power Plan is the landmark regulation that puts limits on greenhouse gas emissions from power plants, which are the biggest emitters in the country. It asks each state to make a plan to operate their coal-fired power plants less by harnessing efficiency measures within the plant and also relying more on clean energy, and to some extent gas as well. It is a very progressive use of the Clean Air Act. It is also a rule that reflects what we're seeing already. It's one of those regulations that I think is very in tune with where the world is already going. In that sense, it isn't radical in the least. But it is being framed legally as a very radical departure from the usual way in which the Clean Air Act has been implemented in the past. So there is a very fierce legal battle over the Clean Power Plan. And it is of course very much a political battle, where you have many states allied with fossil fuel producers challenging the rule. And then you have another cadre of states, the Obama administration, and groups like ours, just as fiercely defending it. In this heady six months of climate progress, it's important to recognize how discouraging the recent stay of the plan is. When you see an order from the court, which has no reasoning and simply seems to reflect a partisan divide between justices on the court, you recognize how political this very legal fight is. I want to make clear what the Supreme Court's order is and isn't, and how I think the future may play out, without reading tea leaves about what any of the courts will do, because that's never a fruitful enterprise. But what I will say is the court's order is simply a stay. It does not wade into the merits of whether this is a proper exercise of the Clean Air Act or not. So, questions about whether this rule is in danger are premature. There are very strong arguments as to why the Plan is both a wise and legal exercises of EPA's authorities under the Clean Air Act. It's also not a 'stop work' order for the states—and when I say states, it's a little bit inaccurate, as sometimes we're just talking about attorney generals, and not the whole machinery of the state government. Even where there has been political pronouncements about opposing the Clean Power Plan and not wanting to work on it, in fact, even in the states that have been allegedly most concerned about the rule, their air agencies have been going forward and working on it. And if you talk to PUC commissioners or regulators, they see the rule as being workable and in tune with where we need to go. Of course, in the states where you have governors and attorneys general fighting alongside EPA on the right side of history, in my view, in those states work is proceeding apace. And some of those states, like New York and California, are pioneering the kind of vanguard regulatory schemes that we can replicate and that matter, just standing alone, given the size of those state economies. The other thing I would say is that all the work I've been talking about is achieving the goals of the Clean Power Plan. It is forcing power plants to close, and run less, if they're open. And it is absolutely ramping up clean energy. While the Clean Power Plan matters very much and I'm very proud that our lawyers are part of the legal dream team that is defending this rule, I do want to give some comfort to those of us recognizing that there is uncertainty—always-- in legal proceedings. And that we don't have to resign ourselves to the fact that nine, or perhaps eight, justices will decide the fate of achieving Paris commitments, et cetera. The Clean Power Plan is not the only way to achieve the commitments we've made in Paris. We are working on many other pieces, such as methane regulation, Department of Energy efficiency standards. And my view, watching the success we've had even without the Clean Power Plan, is that we can get there state-by-state, doing what we're doing now. It would be much better to have a Clean Power Plan in place—and politically, it's a very important rule—but the strategy that we and so many others are pursuing and that all of us like-minded people are demanding, is going to get us where we need to go, no matter what happens in the courts. Minna Jung: I have a question from Vernon from Georgia, and I think this is a familiar conundrum for many energy consumers, which is that many of us just don't know what our options are and also what the cost is. His question is: right now as we stand, how does the price of electricity generated from wind and solar compare to the price of electricity generated by coal? Are we seeing a more economically competitive market? Abbie Dillen: Absolutely. You have even the most conservative analysts right now remarking on the fact that we have effectively achieved grid parity—meaning that the price of new gas is now at parity with the price of wind. And, expecting that trend to continue, such that the cost of newly installed wind is beating the cost of newly installed gas. And the same is happening for solar. The conventional wisdom had been that wind was way ahead and that we wouldn't be seeing that, either with rooftop or utility-scale solar. But Deutsche Bank, Moody's, and others think that solar is going to be at grid parity in 2017—not only in the U.S., but in the vast majority of the world. That's a pretty astonishing change, and I think it just unleashes more finance for clean energy. Even people who've been sort of sitting on the fence and waiting to see how well it does, now recognize that it is a going proposition. And countries who've been worried about taking climate action and worrying about what commitments they can make without compromising their own economic development are starting to see clean energy as not something that will hurt them, but something that can help them. Minna Jung: Let's shift a little bit from the consumer question, to what can we do. What can a citizen do and as a person who's concerned about these issues, what can we do to make sure that this momentum keeps on moving forward? Let me also put a little bit of flavor on these questions, because these questions are a little bit place based. Let's say I live in the Coal Belt—can I become an activist for clean energy solutions? Is it very different state-by-state in terms of what we can do? I'm applauding a lot of activist energy from the questions coming from those on the call, who are interested to hear what you have to say about what can somebody do to actually make sure that this happens? Abbie Dillen: I want to answer what I take to be the spirit of the questions, which is desiring practical suggestions, but I do want to say one thing first—there may be people on the call who've heard me say this, but it has become my mission to say—one of the most important things that all of us can do is to start talking to everyone we know and love about climate and about the fact that solutions are possible. The number of people I encounter—and some of these are judges and some of these are regulators who have power over our future—who believe that there are no solutions and therefore look away from the problem are—well, it's a big number. And so I want to underscore how important it is to spread the news that advocacy matters at this moment. The challenges we face are real. But despair is neither appropriate nor necessary, because there are solutions that we can all be advocating for. Let me say what some of those are—wherever you are, there is somebody who's making decisions about what energy to procure, what the energy mix should be, how much you pay for it and how much the utility is paid for delivering it to you. That's where a lot of the decisions about clean energy versus dirty energy get made. And they're made locally. They're made locally by rural cooperatives; they are made by public utility commissions; and in some cases, by local-elect officials. Those places have largely been able to operate without a lot of public scrutiny and without a lot of accountability. We can be there on your behalf making the legal case. But what we are also seeing—for instance, in cases about rooftop solar policy—having the public turn out and come to the public comment hearings, writing letters to the editor, to be paying attention, to be participating in the elections of commissioners where there are elections, it's just crucial, and that it's really changing both the atmosphere of those venues, forcing them to become less insular and more aware of their responsibilities to steward energy policy responsibly for all of us. It's changing the politics. And making these decision-makers accountable for making good economic and environmental decisions. So, one of the key things I would say is not only in investing in clean energy yourself, as your utility allows you to do or what you can do personally, but pay attention to the local policymaking. Particularly in this environment where we don't have comprehensive federal legislation, the local politics are crucial. Energy politics will always be local to some degree, so attention to those decisions that are being made that affect us so profoundly is the best thing you can be doing. Minna Jung: You talk about local and you just closed on a note in terms of paying attention to national developments, as well, and national decisions. Earlier on, you referenced the Supreme Court decision, a favorable Supreme Court decision on demand-response, which was great in terms of really moving to the demand-side of the energy equation. We have a question from Alton from New York, which touches on an issue that has been very much in the news. Will the current vacancy on the Supreme Court affect the work that Earthjustice is doing on climate and clean energy as a whole? Abbie Dillen: Yes, it will. I think it will affect so many things. It will affect environmental law writ large, and it will affect so many things beyond the environmental issues that we work on. We see this Supreme Court vacancy as one of the momentous events of our current time. I think the discourse around it, the suggestion that this president does not have the authority and is operating in an overreaching way, to be trying to get this appointment done, is very much counter to not only the constitution, but past precedent. I think it underscores a very pressing need to make clear that, partisan politics aside, we have to honor our institutions. On the Supreme Court vacancy, yes, I care about the appointment and how it affects climate and energy—but I care even more about ensuring that we have a process that is true to our democracy. And so Earthjustice is a voice among the chorus of voices, and I hope of the growing chorus of voices, that will be supporting action and making sure that we are not leaving this space unfilled for too long. Abbie Dillen: The answer out of the gate is yes, we'd like to become even more involved than we already are, which is very involved. Net metering is a policy—say you have a solar panel on your roof, you're generating solar, you get credit for all of the solar that you don't use and provide to the grid. And then that credit is put back on your bill, so that you are credited for the solar energy that you are providing to others on the grid. It allows for a model, for instance, where you can essentially pay nothing on your electricity bill because you've offset your use of electricity generated by the utility by selling back solar power. This is the policy that I was mentioning that is under attack right now in states around the country. We have been successful in avoiding a re-work—a dismantling—of net metering in Colorado. We've so far have been successful in New Mexico and Arizona. And recently, allies of ours have been successful in California. There is a very alarming situation unfolding in Nevada. That commission not only dismantled their net metering policy, but they did it retroactively. So that people who spent their own capital on rooftop solar systems based on the promise that they would pay back that investment over time, are having the rug pulled out from under them. It's a very surprising and regressive move by the commission, and it is extremely unpopular in the state. We have been part of the legal team opposing that. We think there are some very strong arguments on appeal. I will say that the decisions that commissions make are often very fact-intensive and not amenable to appeal in state courts. But this is one that I think we have strong arguments in the law for appeal, and our efforts are being joined by consumers who themselves are suing. So we have not seen the last foot fall in Nevada. But it is worrisome. 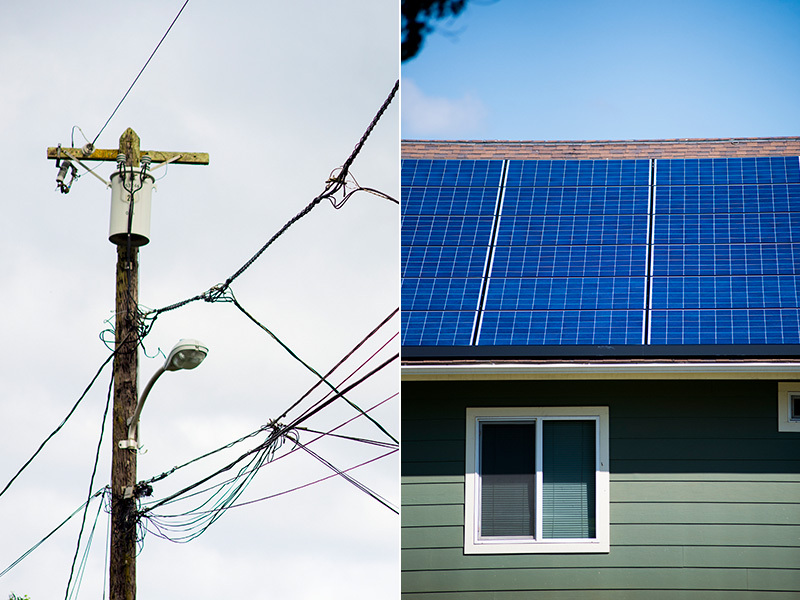 One last thing: an end of net metering doesn't have to be the end of the world. We ourselves want to see an evolution of net metering policies so that we are able to scale up rooftop solar to the maximum extent possible. 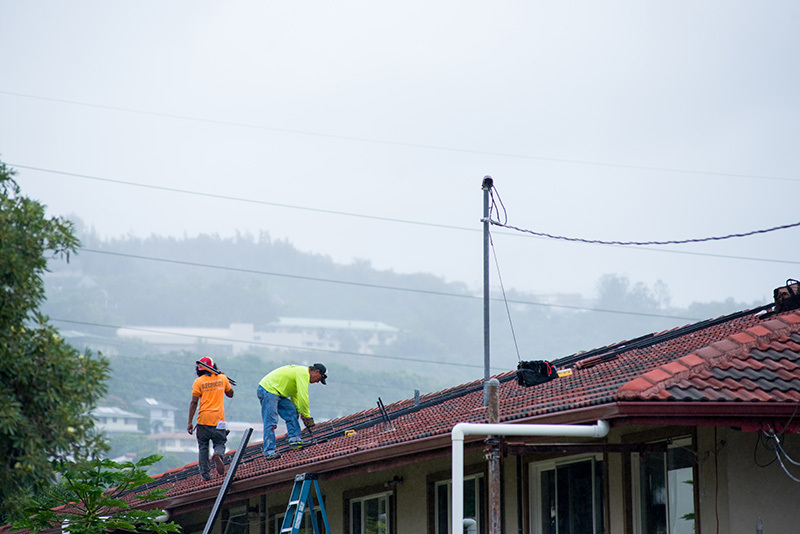 In Hawaii, which is ahead of everybody else in terms of rooftop solar penetration, the commission has ended their net metering policy, a move that we very much opposed. But—there, we were proposing an evolution of that policy to rates that would fully value solar energy and make sure that the accounting was fair. I think the commission is open to that. And I think the utility is recognizing that there is enough political will and investment in solar that, if there are not fair policies that recognize what solar generators are providing to the grid, they will just defect. Meaning, they can soon afford batteries and just go without the grid support entirely. And that's something utilities are very afraid of. I think no matter what happens in Nevada, and other states, the availability of storage at a price that lots of people can afford is something that's on the horizon. And that will make it impossible for utilities to keep rooftop solar down forever. Minna Jung: We are at the end of our time and I am sorry that we weren't able to get to everyone's questions. I do want to mention that there were some questions about who else in the field Earthjustice is working with on climate and clean energy issues. And there are also questions about where folks could get state-by-state information on what's happening. If you go to Earthjustice's website, earthjustice.org, we have a number of features and online products, state-by-state breakdowns. We have a lot of resources available for people who are looking to learn more and to get involved. Abbie, thank you so much for your time today. And also I want to say a huge thank you to all of the members who joined us for today's call. This was a really rich overview of what can often feel like a complicated narrative. But after your talk today, Abbie, the momentum feels really positive, even though there is obviously a need to stay alert and to keep it moving forward. Thank you so much to you and to everybody who joined us on the call.